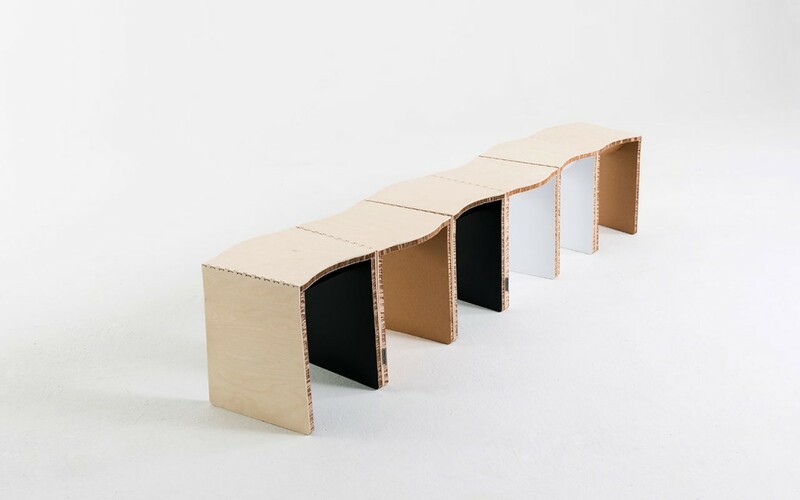 The shape of our Bridge Stool is uniquely trapezoid. 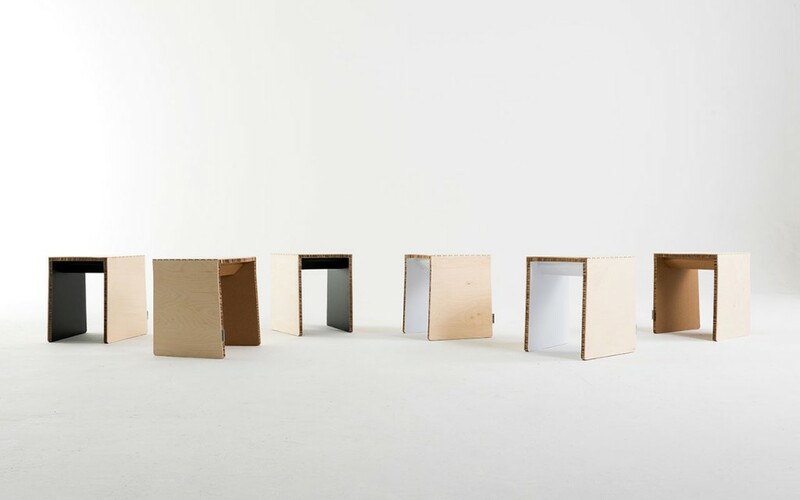 By arranging the stools in different positions, they can be connected to form unique shapes. They are made from Re-board®, an eco-friendly material imported from Sweden. Compared with other cardboard, Re-board® has excellent density and lightness. 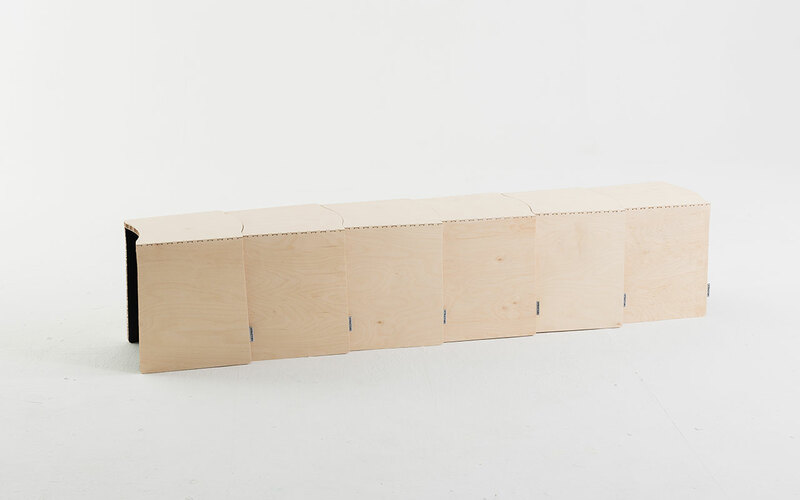 We enhanced the stool’s durability and water-resistant quality by laminating birch plywood to the Re-board®.